Spartak Trnava and Anderlecht take on each other at City Arena Trnava at the start of the new Europa League campaign. 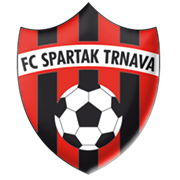 Spartak Trnava failed to book their place in the Champions League, but they will represent Slovakia in the Europa League this term. The Slovaks failed to impress in the two-legged tie against Crvena zvezda in the Champions League, but they proved their worth in the double-header against Olimpija in the Europa League play-off. The Belgian side, on the other hand, have big ambitions for the 2018/2019 Europa League campaign and they are likely to adopt an attack-minded approach in Thursday’s football match against Spartak Trnava. Anyhow, seeing that Arena Trnava will host this game, we predict that the two sides are going to share the spoils in the opening match of their Europa League campaign on Thursday evening. Vakhtang Chanturishvili is a Georgia international who is a product of Sasco Tbilisi football academy. After making 14 appearances for Norchi Dinamoeli Tbilisi, Vakhtang Chanturishvili continued his senior career at Zestafoni, where he scored 2 goals in 21 appearances for the club. From 2015 to 2016 Chanturishvili played for the most famous Georgian side Dinamo Tbilisi and in 2017 he moved to Oleksandriya of Ukraine. Nowadays the Georgian footballer plays for Slovakian side Spartak Trnava, who booked their place in the 2018/2019 Europa League group stages. Speaking of his international career, Chanturishvili made his Georgia debut in May 2016 in a 3-1 loss to Slovakia. Chanturishvili started the match, but he was substituted by Levan Kenia after 45 minutes. His main position is left midfielder, but he is used as a central midfielder as well. The Spartak Trnava footballer was born in Ozurgeti (Georgia) on August 5, 1993. His preferred foot is left. Founded on 27 May, 1908, Anderlecht are considered one of the oldest clubs in Belgium. The Paars-wit are the dominant force in the Belgian Pro League and in 2014 they won their 33rd domestic trophy. Anderlecht did remarkably well to win the UEFA Super Cup title in 1983, with the team defeating Benfica in the final of the competition. The Belgian outfit recorded a 1-0 over the Eagles in the first leg, with the two teams playing out a 1-1 draw in the return leg. Anderlecht play their home games at Constant Vanden Stock Stadium, the venue that was opened in 1917. The stadium was renovated in 1983 and current capacity of Anderlecht’s home ground is 28 063. The Paars-wit have long-standing rivalries with the likes of Standard Liege and Club Brugge, whilst FC Brussels were considered the club’s bitter opponents in the past. The likes of Besnik Hasi, Lucas Biglia, Filip De Wilde and Romelu Lukaku are some of Anderlecht’s notable players.